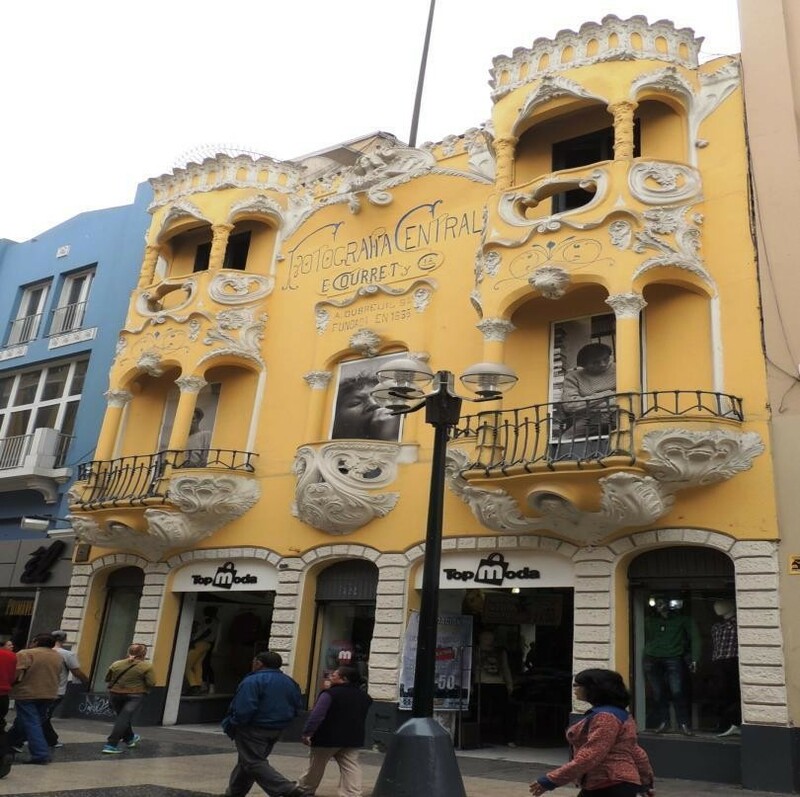 The architectural structural changes of the city of Lima occurred gradually and shifted towards new artistic styles of architecture from the establishment of the Republic in the 19th century. By the end of that century, the city had therefore already ostensibly changed. 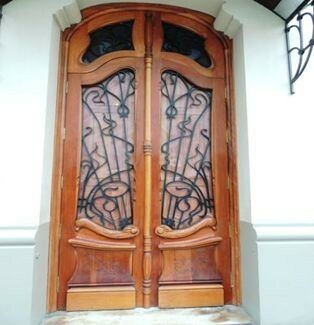 The first Art Nouveau construction was built in Lima in 1905, Casa Courret, designed by the architect Enrique Ronderas. Other architects of the time who joined this modernist trend were the Masperi brothers and the Frenchman Claudio Sahut. 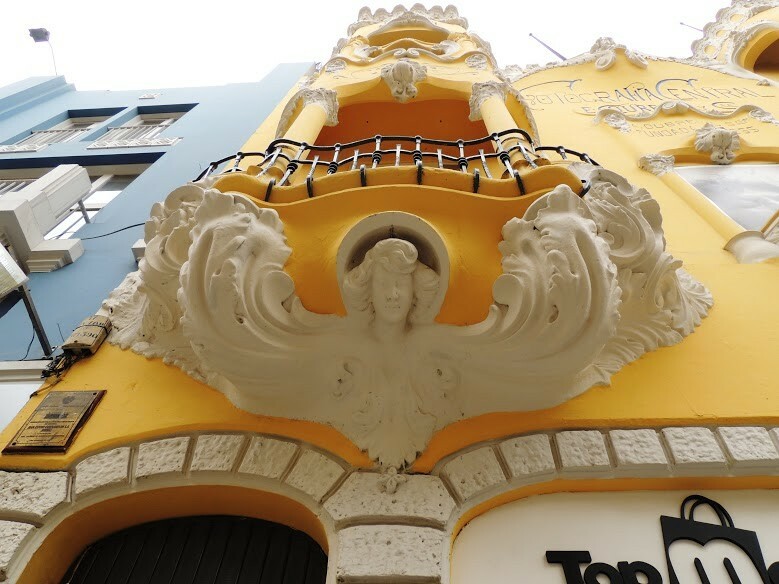 At first sight, the city of Lima is structured around four areas of Art Nouveau growth: one in the centre, two in the expansion area of the early 20th century and another in an outlying area located in neighbouring towns, where ranches or leisure homes would come to be built. The central area, where new buildings were constructed on sites that had become free in the city centre following the demolition of old buildings due to various causes, such as tremors, earthquakes and fires, or simply due to the urban renewal of buildings in line with the citys social and urban development. 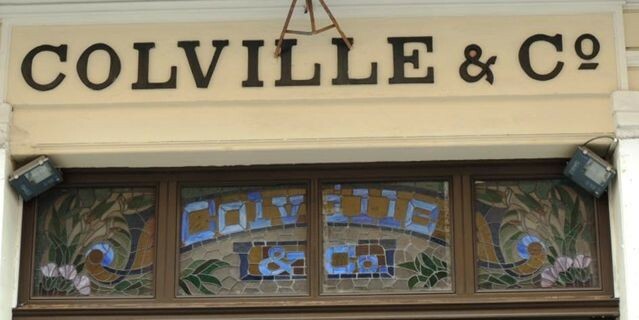 These new buildings were adapted to the new trends of the early 20th century and housed, with some exceptions, businesses, shops and industries, as well as a few residences. Large houses of note in this area include Casa Courret, Casa Fernandini, Paláis Concert, Casa de los Atlantes and Casa Pygmalión, among others. The expansion area would be divided into two zones with a clear modernist influence: Paseo Colón and La Colmena, places where the main wealthy families of the city would settle. As the city grew at the beginning of the 20th century, new modern constructions for the upper classes were begun in outlying areas, in line with the predominant styles of this period. One of these was Art Nouveau and so these types of buildings were consequently built in this area and its surrounding zones. Various types of modernist buildings began to appear, ranging from large mansions to housing complexes, either in multi-departmental buildings sharing a common façade or in quintas, which comprised several buildings or blocks that maintained an architectural unity enclosed within a housing complex. Highlights include Casa Sal y Rosas, Casa Molina, Quinta Alania and Casa de Victoria Larco. The outlying area of Barranco and El Callao, where ranches or leisure homes are located, with a different type of building style from those located in the city centre or expansion area. This area would be characterised by the idea of a second home where one can reside during the summer, or simply as a sporadic or regular home outside the urban centre of the city. One of the highlights in this area is Casa Rossell Ríos, located in the district of Barranco.